Bob was born in Jersey City, New Jersey, on April 3, 1930. The family moved to Bergen County in 1935 and settled in Teaneck in 1944. Bob graduated from Teaneck High School in 1947 and the Pennington School in 1948 before enrolling as a freshman at Syracuse University where he joined the Delta Tau Delta fraternity. He transferred to Lawrence University in Appleton, Wisconsin, where he excelled in cross-country and track. 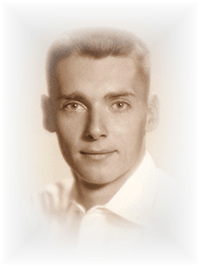 Bob graduated with honors in 1953 and was the recipient of the Iden Charles Champion cup as the best all-around college man and the De Gay Ellis track trophy for Outstanding Track Man. Bob was granted a research assistantship at Lehigh University department of Psychology and completed his master’s degree in 1954. He was then awarded an assistantship at the University of Wisconsin Primate Laboratory and completed his Ph.D. in Psychology in 1958. While at Wisconsin Bob directed the “Mother Love Project” and coauthored the article “Affectional Responses” with Harry Harlow. This article became one of the most-cited experimental reports in developmental psychology. Bob took an assistant professor position at Cornell University in 1959 and was appointed associate professor in 1964. After becoming a friend of Bill’s in 1965, he moved to University of Montana as a full professor. 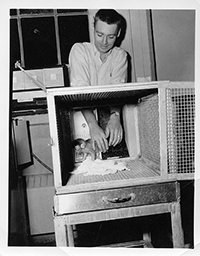 Bob was proud of the fact that he developed primate laboratories at both Cornell and Montana, during his tenure at those schools. 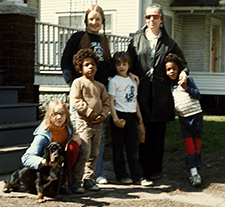 In 1973 he accepted a position at Central Michigan University in Social and Developmental Psychology. In 1980 Bob became director of a Developmental Disability program at Delta College, then assistant director of the college assessment program. In 1989 he was given a full-time teaching position at the college, where his students referred to him affectionately as “Dr. Bob.” He retired from that position in 1995. Bob and Peggy Rowe were married in 1954 and daughter Stephanie Jean was born in 1957. Kim Megan was adopted in 1964, Bartholomew James in 1968, Chanlatte Justin in 1969, and Turner Aaron in 1970. After 24 years full of many enriching family adventures, the marriage ended in divorce in 1979. Bob married the love of his life, Marian Shaffer, in 1980, who brought her sons Joe and Steve into the blended family. Happiness and joy would best describe the 30 years of marriage with Marian. In retirement Bob and Marian joined the Universalist Unitarian church, traveled to visit the children, became active in the Lansing Rowing Club, and joined the fitness program at the Michigan Athletic Club. These were truly golden years filled with love and excitement. 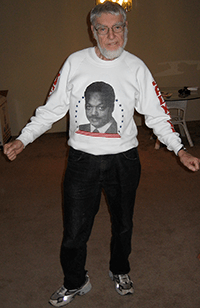 Bob passed away at his home in Lansing, Michigan, on November 3, 2009, from esophageal cancer. 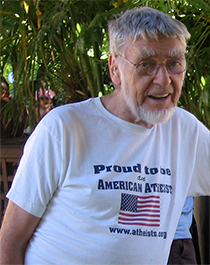 He is survived by his spouse, Marian Shaffer; sisters Edythe of Groton, Massachusetts, and Carolyn of Ridgewood, New Jersey; children, Stephanie (Coopman) , Kim (Lewis), B.J., Chanlatte, and Turner; stepsons Joe and Steve; and eight grandchildren, Kyle and Geoffrey Lewis, Ethan and Quinn Zimmermann, Adia and Naomi Zimmermann, and Azaria and Tyler Zimmermann.